I thought I would show you one more thing that found its way into my closet. I came across this dress at the Salvation Army while I was searching for things for the Etsy shop. 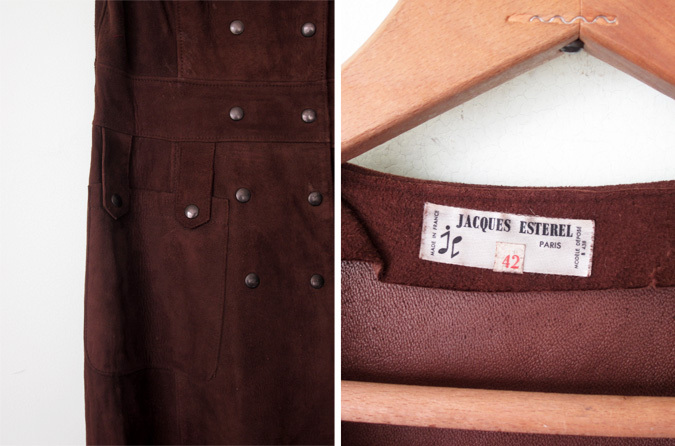 I pulled from the rack a 60s mini dress and as soon as I saw that vintage tag I was in love. 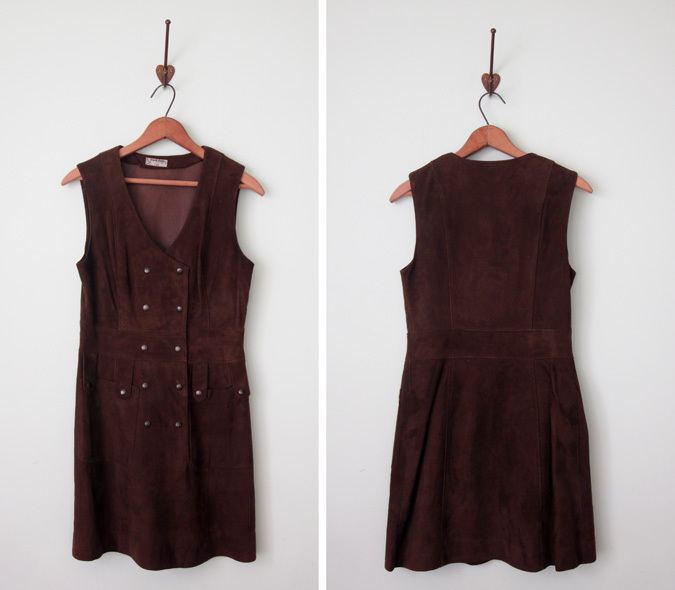 The dress is made out of some of the softest suede I've ever felt in a wonderful chocolately brown. I knew I loved the dress and that someone must have spent a pretty penny on it back in the day, but I didn't know anything about the designer so I did a little internet sleuthing. He was born Charles Martin in 1918. He was an entertainer as well as a designer and wrote plays and songs. He is perhaps best known for the pink gingham wedding dress he designed for Brigitte Bardot's 1959 wedding to Jacques Charrier. His company was involved in a legal dispute over trademark infringement with Yves Saint Laurent. YSL lost the legal battle and had to pay an $11,000 fine and $1,100 for each item produced from the plagiarized design. that's awesome! one of the many joys of thrifting. Wow so lucky. With some tights and boots this will look amazing!